In this case, even the most deftly casuistic Catholic apologist cannot make a wrong statement right. Why? Because Francis left out an extremely important qualifier even were such an absurd statement remotely true: “probably”. Without this qualifier there is no possible way to make such a broad a priori assessment of the state of the “great majority” of Catholic marriages (although he did not limit this statement to Catholics only). How does anyone determine if (very likely) they are among “the great majority”? Without empirical evidence it is impossible because Francis did not inject even the most remotely extenuating notion of probability. Probability implies the determination that evidence is forthcoming to validate a statement. But there is no such evidence. Indeed, even if there were, what criteria would be invoked? How would it be established and on what authority? At what numerical point would the criteria culminate in a de facto annulment of a marriage? The evidence that Francis appeals to is, for all purposes, entirely anecdotal. However, even the injection of probability does not warrant such a sweeping and grievously injurious statement. Even if he had invoked “probability”, the resulting statement would still be scandalous, for he did not simply say that “a majority”, but “a great majority” of marriages are null (a specific canonical term) — which multiplies the scandal. 51% to 49% constitutes a majority. On that basis alone, half of all marriages are invalid. 75% to 25% constitutes a great majority which would mean that 75 of 100 marriages (at a minimum) are null — or over 7 out of 10 marriages. 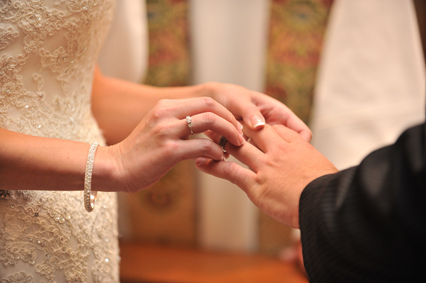 Has Pope Francis effectively annulled 75% of all marriages (not just Catholic)? “That is absurd”, you say. No. It is not what I say — it is what Pope Francis said. As a Catholic, I am confused. Are you? Pope Francis is making quite a mess of things, yes? But that is his ... “style” ... as he said in another context. What a curious and frightening notion. My own confusion derives from the likelihood (being of “the great majority”) of not having been sacramentally and validly married for some years now — despite all appearances during the apparent illusion of a Nuptial Mass at that time. “I, take you for my lawful husband, to have and to hold, from this day forward, for better, for worse, for richer, for poorer, in sickness and in health, until death do us part. “from this day forward” means? “for better, for worse” means? “for richer, for poorer” means? “in sickness and in health” means? To argue — as Francis does — that such simple understanding is beyond the intellectual or verbal capacity and the lowest common level of human communication is an insult not simply to Catholics or the married or the unmarried — but to everyone who is not clinically diagnosed as cognitively impaired. Are such words foreign to you? Are you incapable of grasping what better, worse, richer, poorer, sickness, health, and death mean? Do you not know the difference between what is better and what is worse? Do you really not know the distinction between being richer and poorer? Do you hold that these seven words (and one phrase) are of such complexity that you do not really comprehend them? When you utter them, do you really “not know what you are saying?” How did you get this far into this article? If I believe that what Francis says is true, it behooves me to remedy my own questionable marriage by talking with someone who is living a “valid and sacramental marriage” as he co-habits with his perhaps-wife-to-be (if he weds her at a Nuptial Mass, after which, of course, his own marriage, will then become a null marriage also — until he abandons it and reverts to co-habitation with another woman to authenticate that marriage cohabitation as sacramental and real). No this is not the Twilight Zone. It is the illogical and illusory world of Pope Francis, steeped in a progressive and antagonistic agenda born of the “St. Gallen” Syndicate where reason and tradition alone are anathema sit. As I had stated, I am confused. Are you now confused, too? Are “The great majority” of Sacramental marriages really no more than co-habitations, while cohabitations are really sacramental (possessed of grace) marriages? Ordinary People are not presumed competent by Pope Francis to understand and enter into a simple marriage contract when they are presumed to be competent and liable for any complex civil contract, such as a loan, a car, a house, or a lease? All such contracts are held actionable by the parties entering into them and there is a presumed recognition of the individual's mental, intellectual, and cognitive capacity for entering into these far more subtle and legally involuted contracts. Try, for example, telling your credit card agency that you really were not competent to understand the loan you took out 5 years ago and therefore now refuse to pay it. Pope Francis wounded so many people with his statement, and opened the way to the breaking of many marriages. So many are fragile and hold together because of the words of Christ and the Church, enduring much suffering and remaining open nevertheless to each other in the hope that their marriage will endure, and in the conviction that it IS a real marriage and that vows mean something sacred and are not to be broken. They full well know that they realized what they were saying when they got married, however simple or uneducated they may have been. Marriage is not only for scholars and canon lawyers. It is the oldest and most widespread institution in the world! How much doubt must now enter so many marriages — and for those inclined to leave, to break that contract, they now have nothing less than a papal assessment that it never really was a marriage after all. They will count themselves among “the majority” — and split. The “annulment process” already “streamlined” by Francis will now become a race track. Moreover, how are we to tell our children — many living in co-habitation — that it is sinful and wrong when the pope openly approves of it? What are we to say? As Catholic parents we have been divested of our moral authority; for it has been subverted by the pope himself who declares that we are wrong in discouraging co-habitation — just as we were wrong when we thought that we were sacramentally and therefore validly married. It is madness! I am inclined to believe — as the most charitable of two options — that Francis is non compos mentis. If that is so, it is, in fact, canonical grounds for his being relieved of the papacy. The more he speaks the more certain I am of this. On the other hand, this may be an “impromptu” preparation for a more formal statement concerning not so much further “streamlining” the annulment process as in extending the divorce issue so close to Kasper’s heart — and it is important to remember that Kasper (one of the St. Gallen Syndicate) is, after all, one of the pope’s most trusted theologians — and one with the audacity to countenance the explicit and absolutely unequivocal teaching on divorce by Christ Himself. To this day Pope Francis has not publicly retracted his statement that “The great majority of sacramental marriages are null.” The Vatican press agency has tactfully, but belatedly revised “the great majority” ... to “some” — Francis has not. It takes humility — the celebrated “hallmark” of his papacy — to acknowledge that one is wrong. The refusal to do so is the remarkable absence of it. In that vacuum humility becomes arrogance — which far better suits a tyrant than a pope.